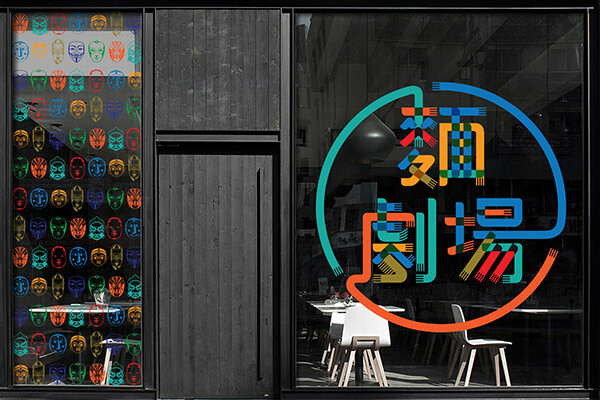 Noodle Theater is a new restaurant chain in Taiwan serving regional noodle dishes from around the globe. The identity features a bold color palette that alludes to the restaurant’s multicultural offerings and diversity of ingredients. 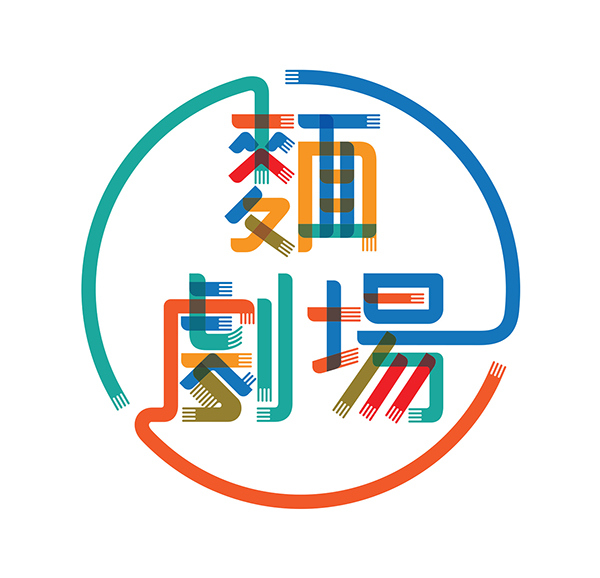 The typographic logo comprises layered noodle-like strands that spell out Noodle Theater’s name in Chinese characters. 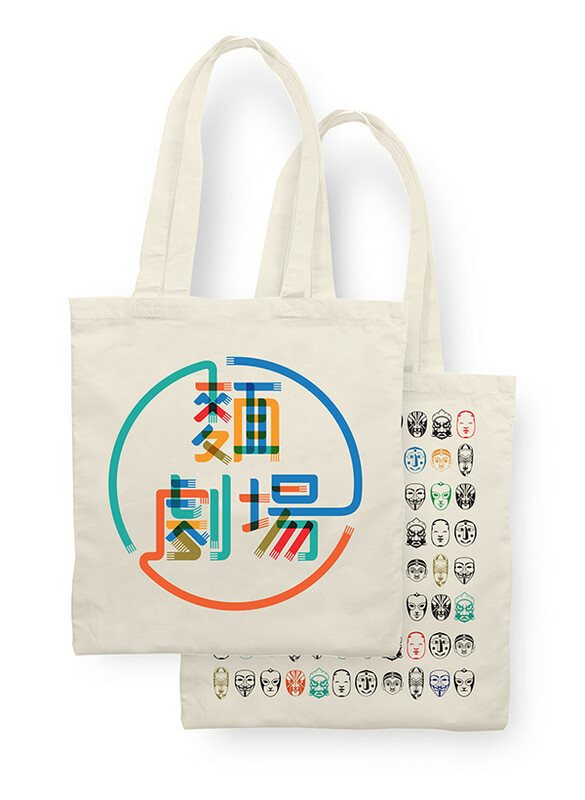 The colorful identity extends to a series of international masks, each representing a unique culture. 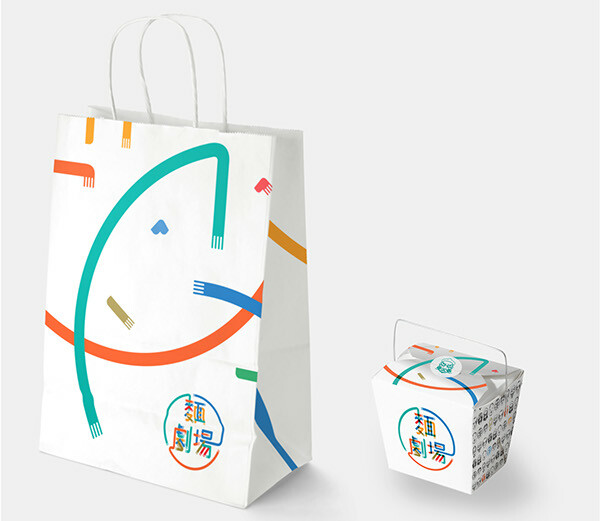 The masks—including a Mexican luchador mask, a Japanese noh mask, and a British Guy Fawkes mask—are arranged as a striking graphic pattern and applied to Noodle Shop packaging, tableware, print materials, and environmental graphics at Noodle Theater locations. 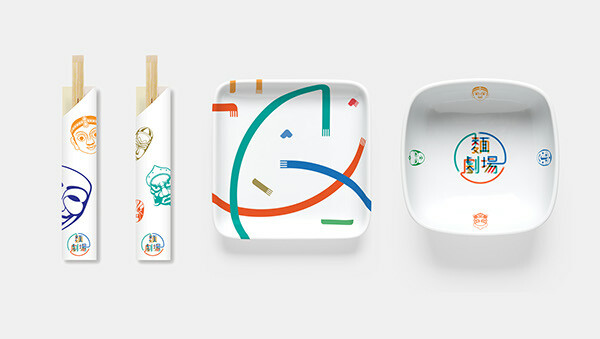 Noodle Theater is a new restaurant chain in Taiwan serving regional noodle dishes from around the globe. The identity features a bold color palette that alludes to the restaurant?s multicultural offerings and diversity of ingredients. 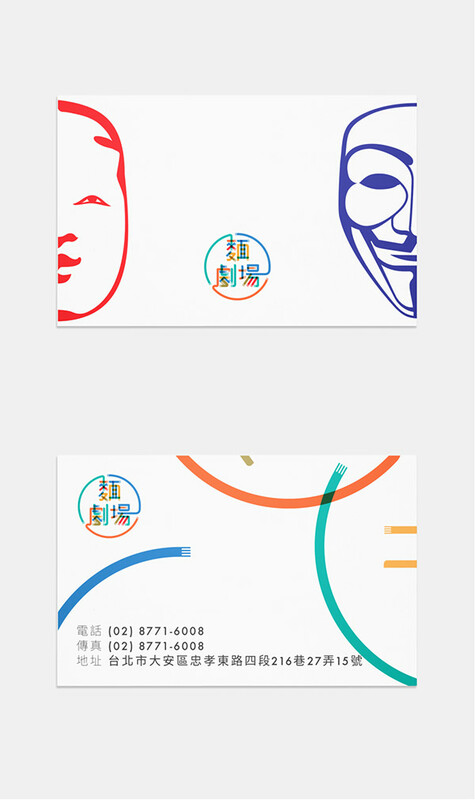 The typographic logo comprises layered noodle-like strands that spell out Noodle Theater's name in Chinese characters. 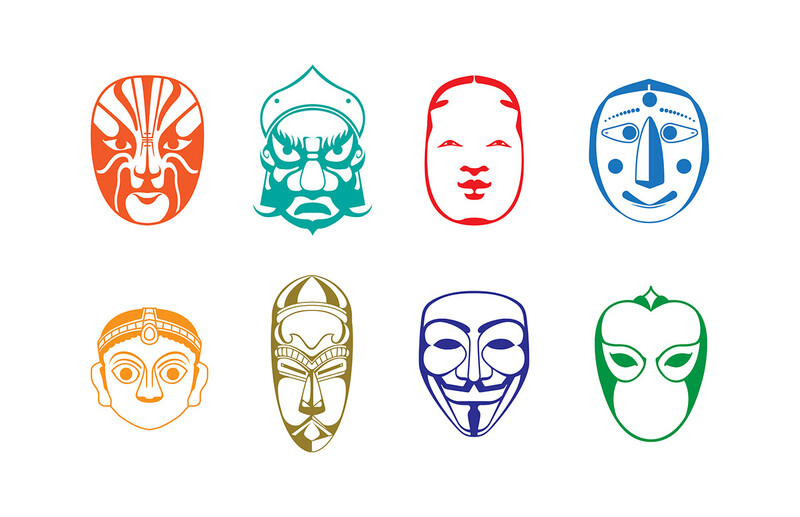 The colorful identity extends to a series of international masks, each representing a unique culture. 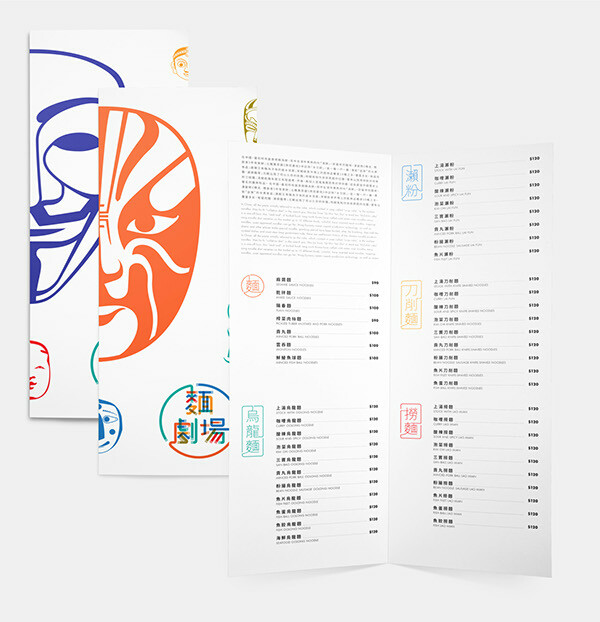 The masks (including a Mexican luchador mask, a Japanese noh mask, and a British Guy Fawkes mask) are arranged as a striking graphic pattern and applied to Noodle Shop packaging, tableware, print materials, and environmental graphics at Noodle Theater locations.